A new entrance scheme at Falmouth's Greenbank Hotel provides a showcase for two of Falmouth University's high-flying graduates, Artist Amy Albright and Interior Designer Matt Hulme both studied at the university and have gone on to forge successful careers. 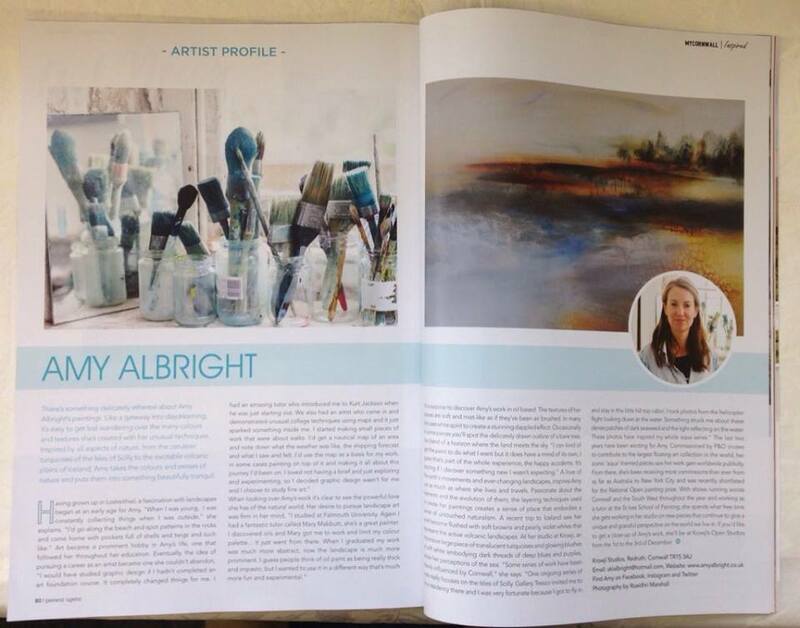 Award winning artist Amy Albright paints abstract landscape oil paintings and exhibits nationally as well as completing commissions for Interior design schemes and private collections. Matt Hulme runs his own interior design practice called Dynargh Design working on projects throughout the UK. Now more than 10 years later they have returned to Falmouth to collaborate on the Greenbank's new refurb. Amy was commissioned to create six paintings earlier this year, using her unique semi-abstract style in which she builds layers of oil paint with glazes creating an enchanting finish. 'I took inspiration from the local area, particularly focusing at areas where land and water meet, but I like to let the paint guide me a little, making gestural marks, dripping and imprinting with rags and responding to the paint, I'm delighted with the outcome and it's been a pleasure working with Matt Hulme from Dynargh Design.' says Amy. Painting 'Geothermal unrest' 61 x 76cm oil on canvas has been shortlisted for the prestigious NOA (National open art) Prize. This piece was inspired by my time in Iceland in 2016. 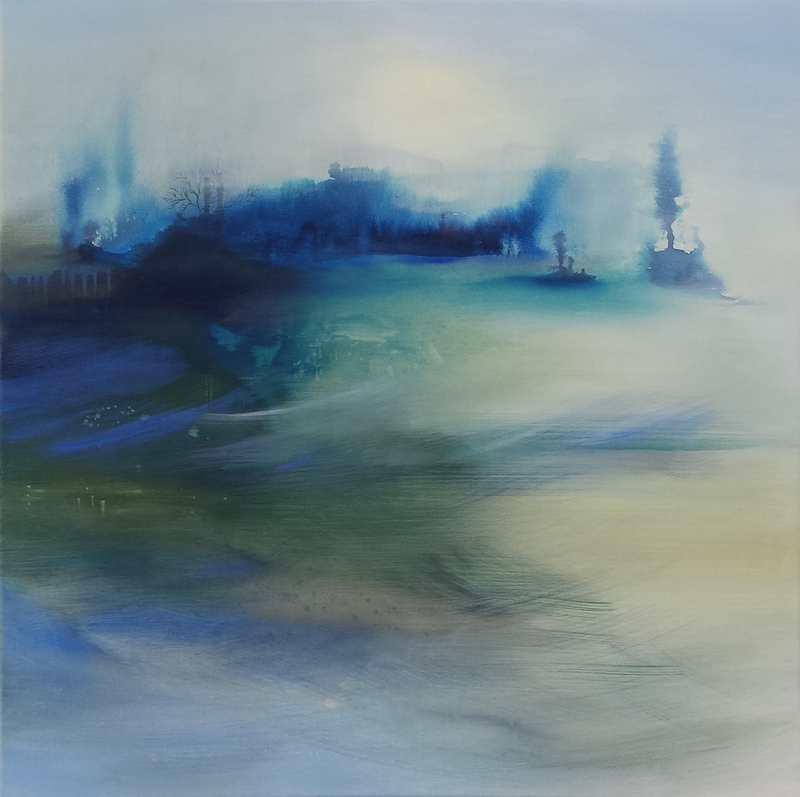 Exhibition at 'Beside the wave London' Primrose Hill, runs from 9th -29th September. A mixed exhibition of eight painters currently working at Krowji studios, Cornwall's largest creative hub and home to some of the south-west's leading artists. 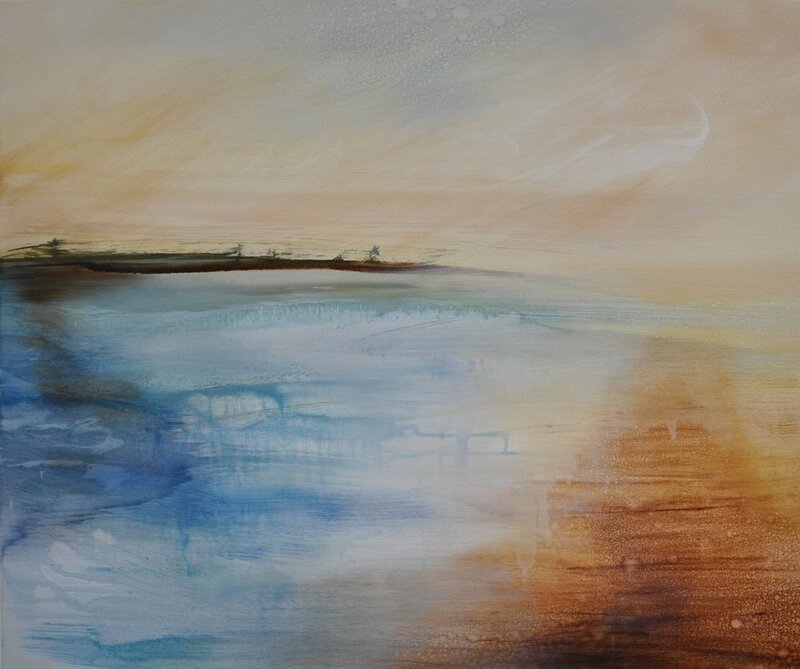 Work with artist Amy Albright to explore how you can convey the ocean with its ever shifting moods and colour. You will use abstraction to capture your emotive as well as visual responses to time spent out on Porthmeor Beach just outside our studio. Think about being under the sea, looking down on it from a glider, feeling it wash up on the beach over your toes. Explore an abstract and loose creative approach to painting and help establish your own style and identity. I will be running a series of one day workshops from my studio at Krowji in Cornwall. 'Experimental painting in layers' Using acrylics and oils, £65 per day all materials included. Contact me for more information or to book a place. "It was amazing and we all learnt so much. Above all it was great fun. You organised the whole day really well and certainly made it very well structured and at the same time captivating! We all loved it and are so pleased with our masterpieces!" Rachel from Lostwithiel. 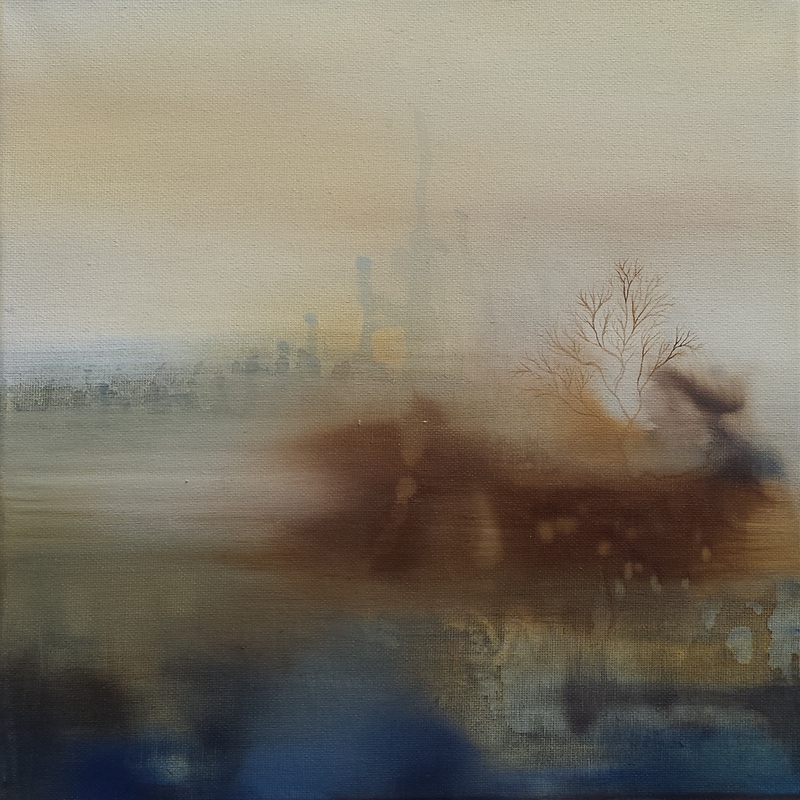 In the elements, 120 x 100cm oil on canvas. Feature from the WMN - Western Morning news on Sunday. New exhibition at Mcallister Thomas Fine Art. Four new paintings are currently being exhibited at the Summerhouse Gallery in Marazion, Cornwall in their Mixed Summer Exhibition. AMY ALBRIGHT, a University College Falmouth graduate, has been commissioned to produce four large paintings for P&O cruises' latest ship, Britannia. The striking semi-abstract oil paintings will be positioned in a public area of the ship for all to see. Britannia will boast Britain's largest floating art collection, containing more than 8,000 artworks, when it launches in March next year. P&O's art consultant Tom Tempest-Radford said: "Most of the artworks are abstract, based on the sea and music and the whole thing together is a symphony." 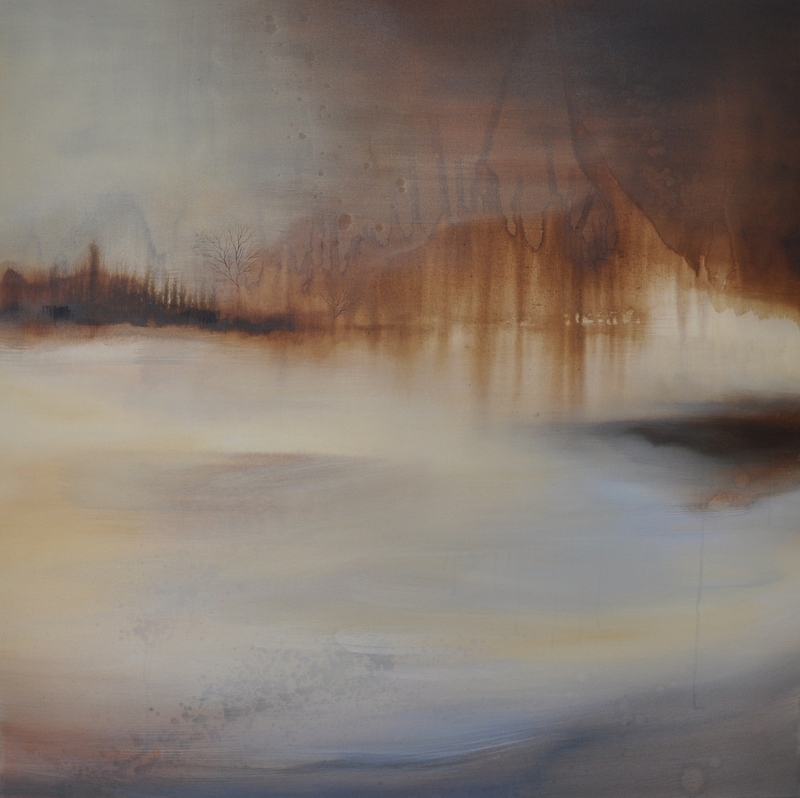 Amy has exhibited nationally since winning the Midas Award in 2008 and is achieving great success, with other collectors including Tresco Estate, Isles of Scilly. In 2013 she was made a member of the NSA (Newlyn Society of Artists) and has previously been selected as Artist in residence at Tresco Gallery and Beaford Academy. Amy has lived in Cornwall most of her life, growing up in Lostwithiel. She is now based at Krowji Studios, Redruth and is working towards a major solo exhibition at Artwave West gallery in Dorset next year. When describing her work Amy said: "I paint using an intuitive, organic technique; building up the surface with numerous layers of paint. With an unsettled sense of scale I aim to capture the magical, elusive dancing light found in our oceans shallows and depths." West Briton, Cornish Guardian Jan 2014.